CLOSEOUTS. 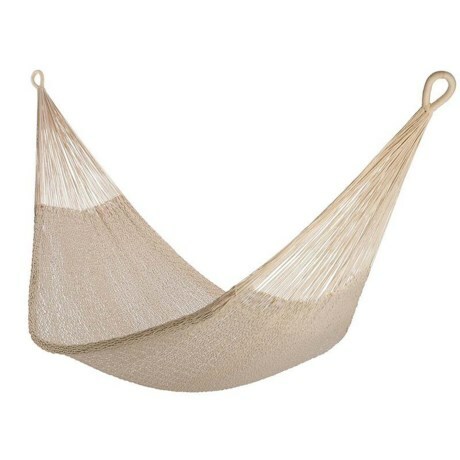 Kick back and relax in this Yellow Leaf Hammocks Catalina hammock, crafted with durable yet plush cotton yarn in an anti-flip design; ideal for both indoor and outdoor use. Available Colors: NATURAL.